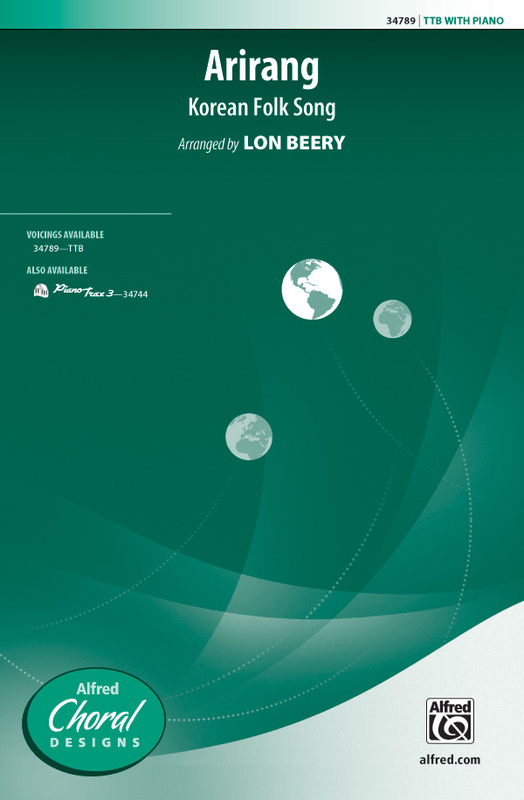 A selection of world music songbooks and sheet music arrangements for male voices. "Barbara Allen" - Singers can display expressiveness and beauty of phrasing in this lovely a cappella setting of the beloved English folk ballad. It tells the story of the unrequited love between Barbara Allen and Sweet William. Originally composed for a festival in Newfoundland, "The Game of Cards" is based on an old English folk song. It should be sung with a storyteller's sense of delight in his own story; part wide-eyed wonder, part knowing smile. "Chickens In the Garden" is a carousing English toasting song, hearty and robust and perfect for the pub with raised glass in hand - or, if the chance arises, perhaps for your next rollicking encore or concert piece! "The text exists merely to give form to the music and is meaningless," says Finnish composer Mantyjarvi, whose "El Hambo" in 1999 was an instant success with American high school choirs. In "Pseudo-Yoik" he takes a humorous look at the stereotype of the Lapland folk music. "Rain, Rain, Beautiful Rain" - The famed South African vocal group Ladysmith Black Mambazo led by Joseph Shabalala creates moments of transformative beauty with their unique sound and vivid imagery. Choirs will enjoy recreating this evocative work. "Harambee" - In Kenya, the Swahili word harambee has multiple meaning. When a group of people gather to complete a difficult physical task, they often say, "one, two, thre ... harambee!!" In this context the words means: "let's go, let's get it done." A special gathering to raise money for building a church or school is also called a harambee. These gatherings often feature long speeches, music and dancing. In the context of this composition, harambee means unity - working together. In a time of increased multi-cultural awareness, Bwana Awabariki offers an ideal piece of African culture for both churches and schools. The song emphasizes rhythm, blend, and African-style vocalism with broad, open chords and the familiar low, low bass part. This warm a cappella blessing would be especially effective with added percussion. This a cappella setting of a traditional South African praise song "Gabi, Gabi" just bursts with joyful energy. Dynamic contrast, percussion and a wide range of layered vocal textures make this an appealing concert choice. Sea shanties are an early tradition in a cappella music and are great fun to sing. Here we offer a selection of classics for male voices. 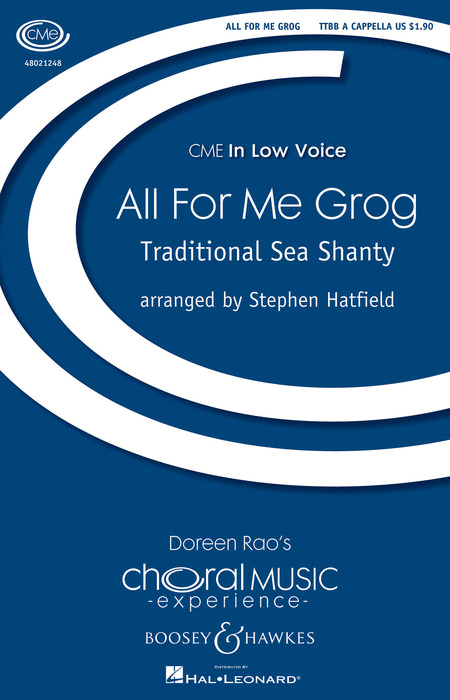 The English sea shanty "All For Me Grog", already a success in SATB and 3-Part Mixed voicings, is now available for men's chorus, just the way it would have been heard originally when sung by sailors as they pulled long heavy ropes on early Navy vessels. Noted arranger Vijay Singh brings us three classics that will provide excellent programming materials for male quartets, ensembles and choirs. "Leave Her, Johnny, Leave Her" is a playful arrangement in which the ensemble encourages one of its own (Johnny) to bid farewell to his female shore leave companion. Encourage the singers to imagine they are loading the ship for departure and watching with amusement as young Johnny tries to bid his lady farewell. 'Bangidero" is derived from a traditional sea chantey in which a crew sings of admiration for its captain and his tales of shore leave opportunities in South America. "Her Bright Smile", based on the plaintive words of an anonymous sailor poem, details the sailor's loneliness and longing for his ladylove. Marshall Bartholomew, arranger for much of the Yale Glee Club repertoire, does a fine job with the traditional "What Shall We Do With The Drunken Sailor?". The TTBB version of 'Freedom Come' is the closing movement of 'Bandari: Inside These Walls,' a five moevement work encompassing a variety of African styles and combining Swahili and English text, and is written in the style of a South African freedom song. 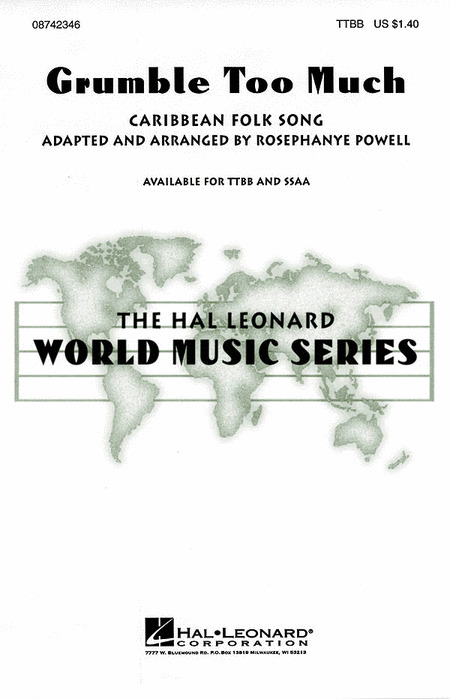 The piece begins a cappella; the conga drum is added after the first verse to create new energy and to delineate subtle rhythmic changes, particularly during the ending which alternates between 3/2 and 5/8. 'Back to Ethiopia' bears numerous attributes associated with the African-American spiritual, and might thus be effectively treated as a Jamaican equivalent. The text plaintively longs for a homeland; the 'verses' in the verse-and-refrain structure are meley repetitions of a single line of text; and the melody suggests very slow harmonic rhythm. The appeal of this tune lies in its ability to strike the ear as being both astonishingly simple and proundly moving. The moving folk song 'Kpanlongo' should be sung with a somewhat nasal and straight tone with strong accents on each syllable to clearly define the rhythm. This piece comes along with a very helpful pronunciation guide. The Pennsylvania Dutch folk song, 'Johnny Scmoker' is a fun song indeed. Through its seven verses, Johnny describs and accumulates all the instruments he can play. Simple choreography along with the accelerandos (to as fast as possible) give this piece its trademark - your choir and audience are sure to enjoy. The Jamaican folk song 'Hol' You Han'' is quite authentic and will be exciting for your choir to tackle, it even incorporates vocal/body percussion! A piano part is included for this piece. 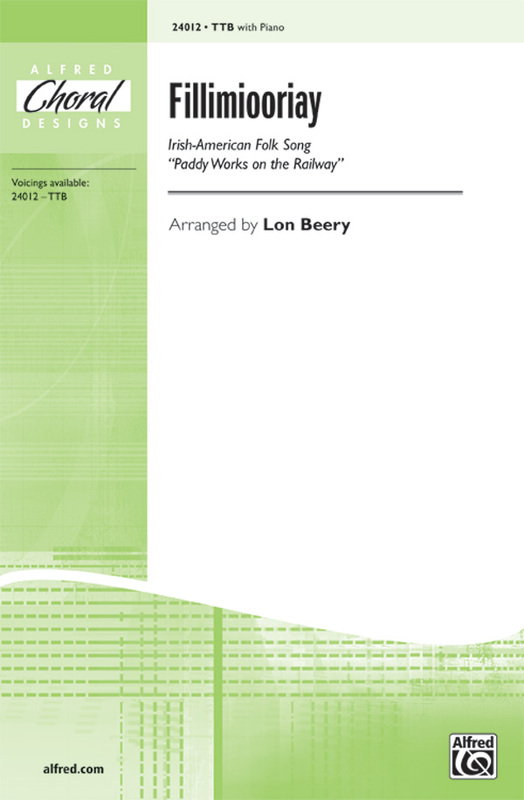 Two distinctive cultures combine in the unique choral change-of-pace known as 'An Afro-Celtic Diddle. 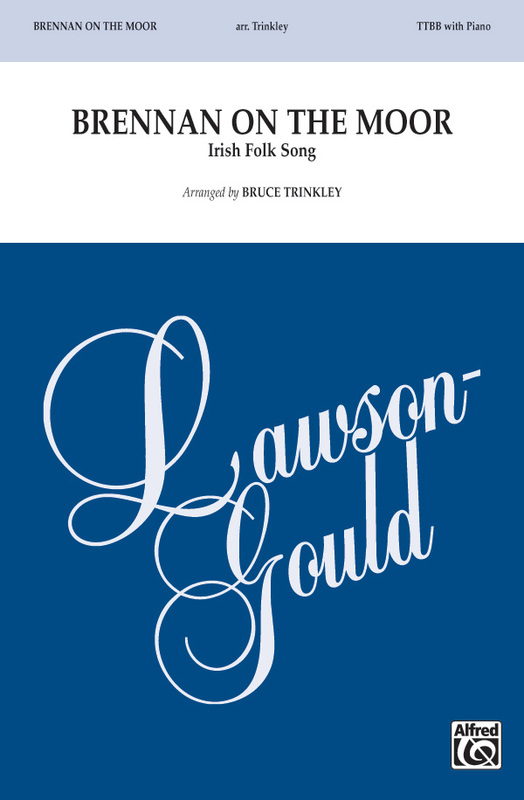 ; Featuring African percussion and Irish-inspired vocals, this delightful piece is fun, fun, fun! Disney's powerful African song, 'One by One.' will bring down the house. 'Dubula' is a folk song of the Xhosa people of South Africa. The style is boisterous, party-hardy and open-throated. The South African Zulu song, 'Womoweh (Mbube),' was first recorded in the early 1940s by Solomon Linda. Pete Seeger later transcribed the song for The Weavers. Once adapted to their own style, it become one of their greatest hits. The Five African songs in 'Hamba Lulu' have a rhythmic energy that propels the music and stirs the human spirit. 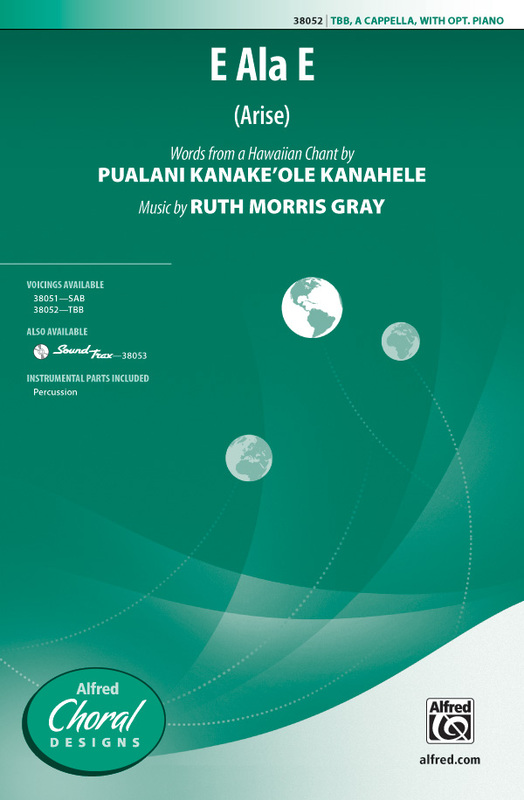 With a variety of performance options, this collection will be an outstanding addition to your choral library. Stephen Hatfield's fun tune, 'African Celebration' is gem that can be used in any concert series needing that extra world music flavor, it comes complete with a pronunciation guide to help you and your choir learn the music! English and Latvian text. Composers: Leons Amolins, Pauls Dambis, Rihards Dubra, Maija Einfelde, Eriks Esenvalds, Romualds Jermaks, Alberts Jerums, Selga Mence, Peteris Plakidis, Juris Vaivods, Ruta Vintule. Perhaps some of the most exciting works for men's chorus that exist in our repertoire today. 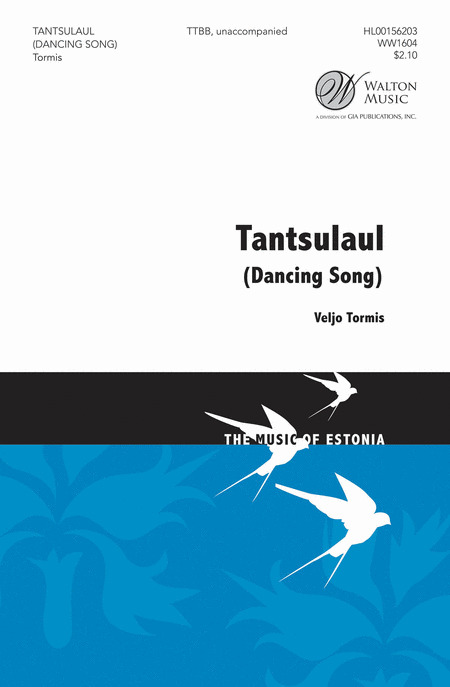 Iconic Estonian composer Veljo Tormis celebrates the tradition of "runosongs," music that has been passed down through generations. These dynamic works use a minimalistic compositional style reminicent of Estonian folksong. Simple in construction and unbelievably dynamic - and often humorous - in sound. Ten songs included in this collection. This sea chanty, from the mid-1800s, is inspired by the Irish immigrants escaping the great potato famine of their home country. Driven by a half note pulse, this piece has many ballad-like qualities with an accompaniment that propells the piece forward. It makes a wonderful selection for developing male voices teaching energetic 3-part singing. Here is the beautiful Scottish song in an expressive and emotional setting for men's voices. Stunning! Available: TTB. Performance Time: 2:50. 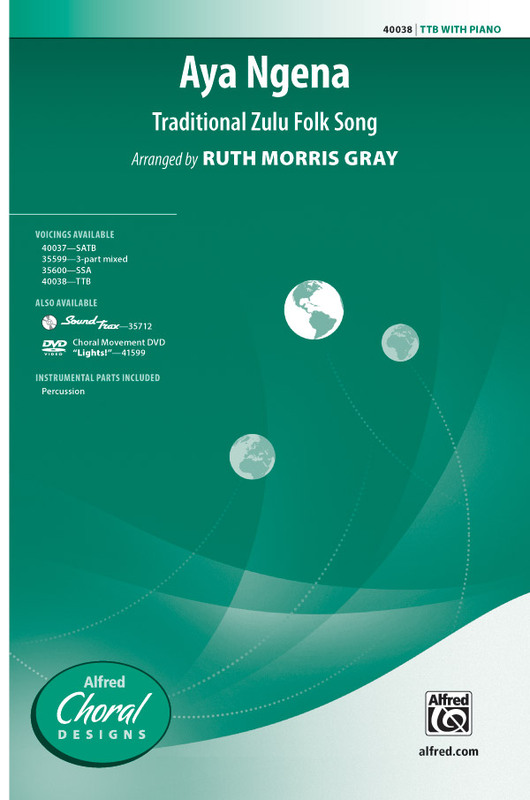 A popular choice for three-part groups, this authentic Zulu folk song is newly available for SATB and men's choirs. 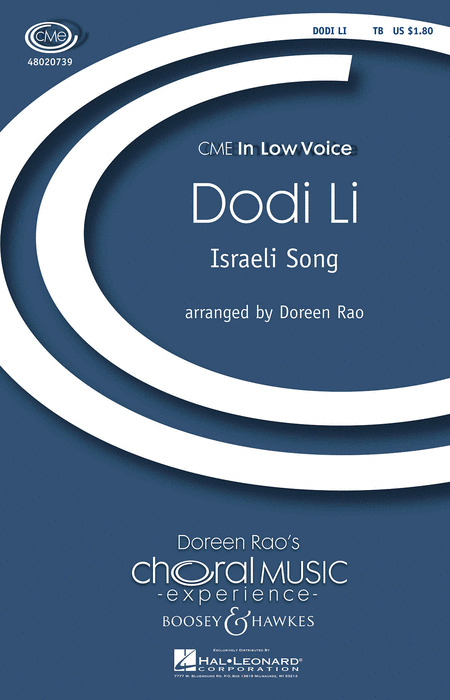 The rhythmic choral parts are routinely punctuated by brief solos and joyful handclaps. Add optional African percussion for even more fun. This Irish folk song tells the story of a rollicking highwayman named Willie Brennan. Ah, the frisky lad. Some say his spirit rides on, fearless and undaunted. The ultimate men's feature, complete with a full-sounding accompaniment. Here's a carousing English toasting song, hearty and robust and perfect for the pub with raised glass in hand - or, if the chance arises, perhaps for your next rollicking encore or concert piece! Put on your kilts, laddies! This clever arrangement of the Scottish favorite will be a delight for audiences and singers alike. A pronunciation guide is included to help with some of the authentic language. From the collection, Men's Songs, this is a humorous account from a man who fancies himself a good dancer. A stunning melody enhanced by clapping, stomping and other various sounds, choirs are encouraged to add movement, facial expression and other dramatic components. This beloved Irish melody is perfect for teaching artistry and vocal technique with its gentle phrasing and imaginative expression. A wonderful selection for younger festival and honor choirs and contest! This nature-inspired poem celebrates our connection to the rising sun, incorporating equal parts English and Hawaiian text. Rhythmic and harmonic motives sound authentic throughout. Highly creative. A traditional Spanish poem is set in non-traditional style with a slightly Americanized popular style for male voices and guitar or piano. The work allows a young men's chorus to develop vocal expression as they explore the very emotional feelings that young love evokes. Duration: 4:30. The title song is joined by another American folk song, "Angels Watching Over Me." This arrangement really sings. The independence of parts will make the piece easy to teach. The simple but highly effective piano part adds drama while letting the voices be center stage. Optional solos create the opportunity to feature your strongest boys in this animated arrangement of a traditional Irish folk song. Particular attention is paid to appropriate ranges for young men in any stage of their voice change. Fun for singers and accompanists alike! 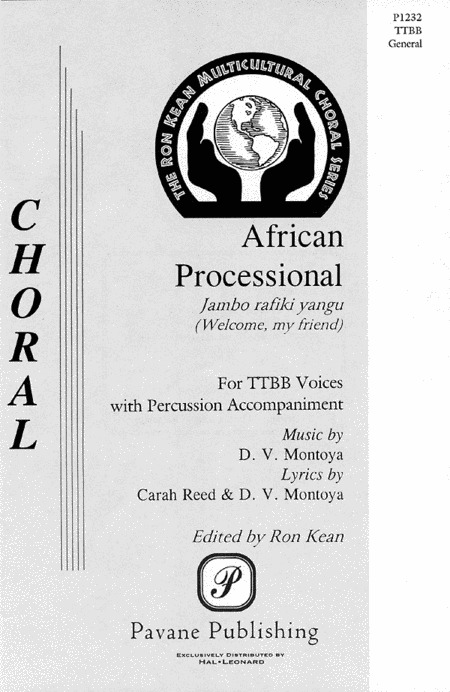 This fifth movement from "Bandari" is set in the style of a South African freedom song. Easy choral writing and a narrator soloist provide an uplifting experience. The words may be altered to suit the occasion, be it Christmas or a special celebration. The music builds to a dramatic climax. Wonderful way to close a program. This a cappella setting of a traditional South African praise song just bursts with joyful energy. Dynamic contrast, percussion and a wide range of layered vocal textures make this an appealing concert choice. This Caribbean folk song is an irresistible change of pace that makes light of man's inability to please a woman. 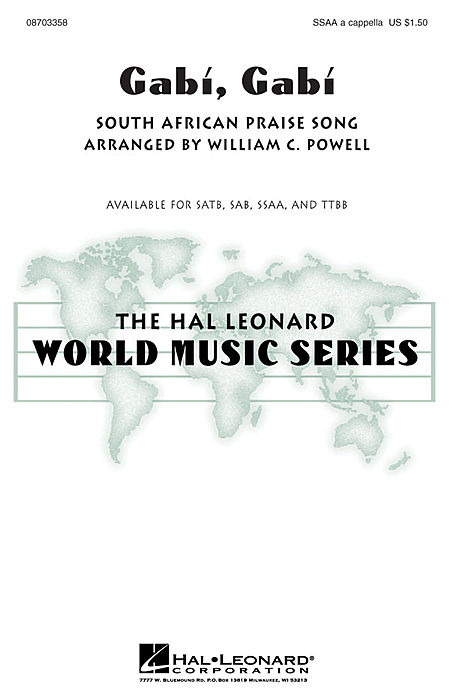 Features a soloist and optional Latin percussion. In the interest of fairness, an SSAA adaptation is also available! Available: SSAA, TTBB. Performance Time: Approx. 2:15. In Kenya, the Swahili word harambee has multiple meaning. When a group of people gather to complete a difficult physical task, they often say, "one, two, thre ... harambee!!" In this context the words means: "let's go, let's get it done." A special gathering to raise money for building a church or school is also called a harambee. These gatherings often feature long speeches, music and dancing. In the context of this composition, harambee means unity - working together. A show-stopping hit. Much rhythm and action in this piece.